Comments: Flowers are fragrant in spring followed by fruit that ripen in fall. 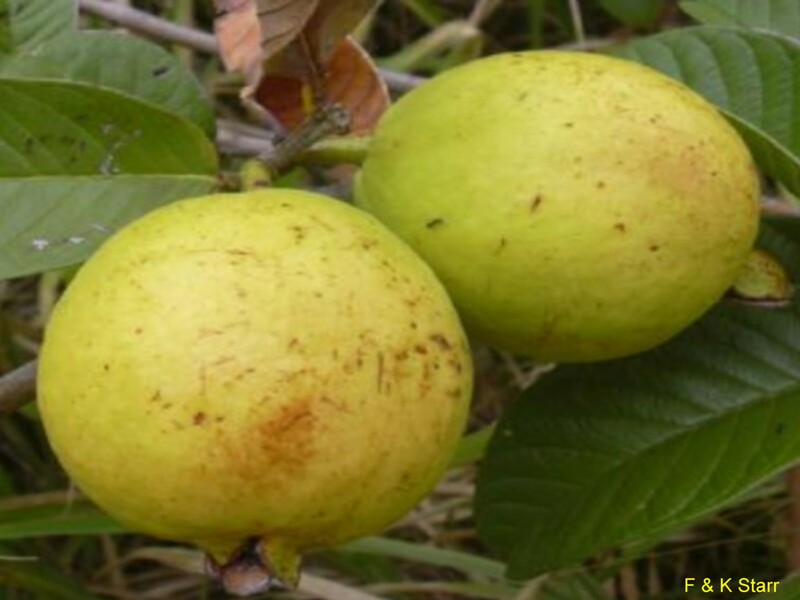 When ripe, the guava becomes soft and juicy. It is eaten fresh, made into a juice or nectar containing fruit pulp, or made into preserves, jam, jelly, and paste. The guava is a very good source of vitamin C.